Our Facebook posts are a great way to view our faces, activities and accomplishments from 2009 to the present. Seventy-nine (79) players from across Southern Louisiana and Alabama competed in the A's & Aces - NORD Jr. Grand Prix, a USTA, SOUTHERN and LOUISIANA Level 5 sanctioned tournament November 17-18, 2018 at NORD's Joe Brown Park Tennis Center. The tournament hosted boys and girls in 8's-18's age divisions. ​Click here to view all tournament results. A's & Aces was incorporated as a nonprofit in January 2008, holding its first event that May at Tulane's Goldring Tennis Center. ​10th Anniversary "GRAND SLAM "
Wilander Clinics & Party are Great Successes! On November 7th Mats Wilander, former world #1 and 8 x Grand Slam Champion, and his assistant, Cameron Lickle, hosted 4 one-hour adult tennis clinics for a total of 32 players on the Hilton indoor courts. A special 5th clinic was then held for 8 A's & Aces student-athletes. The clinics were offered at $500/player and all sessions were sold out! Elizabeth & Steve Brinson and Kathryn & Jeff Scurlock hosted an incredible party for 200+ attendees that evening at the Brinson's Metairie Club Estates home. Great friends, food, drink, music and a live auction conducted by USTA VP, Mike McNulty, and motivating remarks by Mats Wilander, highlighted the evening. Sixty-four players from from across Southern Louisiana and Mississippi competed in the NOLA Fall Jr Open, a USTA, SOUTHERN and LOUISIANA Level 5 sanctioned tournament Sept 8-9 at NORD's Joe Brown Park Tennis Center. The tournament hosted boys and girls in 8's, 10's, 12's, 14's and 16's age divisions. The following eight A’s & Aces participants won either first or second place trophies in their singles divisions! IBERIABANK associates taught financial literacy during four June and July sessions with our Tournament Training players at UNO. ​About 80 campers from our Dillard University, Atkinson-Stern Tennis Center and Joe Brown Tennis Center Summer Literacy & Tennis Camps arrived excitedly at the UNO Tennis Center. They toured the UNO campus and competed enthusiastically in the A's & Aces 10&U Camp Teams Tournament. Matches were assisted by our Tournament Training players and coaches. Wild Bill Wood, a 17-time Emmy Award winning features reporter at WGNO News With A Twist, visited the UNO courts to interview a few of our top student-athletes. To view more 2018 Camp photos click here to see the "Summer in Review Pictorial " and click June and July ​to see those editions of our "Between the Lines" newsletter featuring our 3 Summer Literacy and Tennis Camps as well as our Tournament Training Camp for high-performance competitors. Six members of the A's & Aces Tournament Training Team traveled to College Park, MD, July 27-30, 2017 with two A's & Aces coaches, Tennis Director, A.J. Varnado, and Coach Eddie Garcia, for the USTA National Excellence Teams 10 & under competition. A's & Aces is one of 12 USTA National Junior Tennis & Learning designated "Excellence Teams" across the nation. Each team adopts the name of a tennis personality. The A's & Aces Team is the "Mike McNulty Excellence Team." 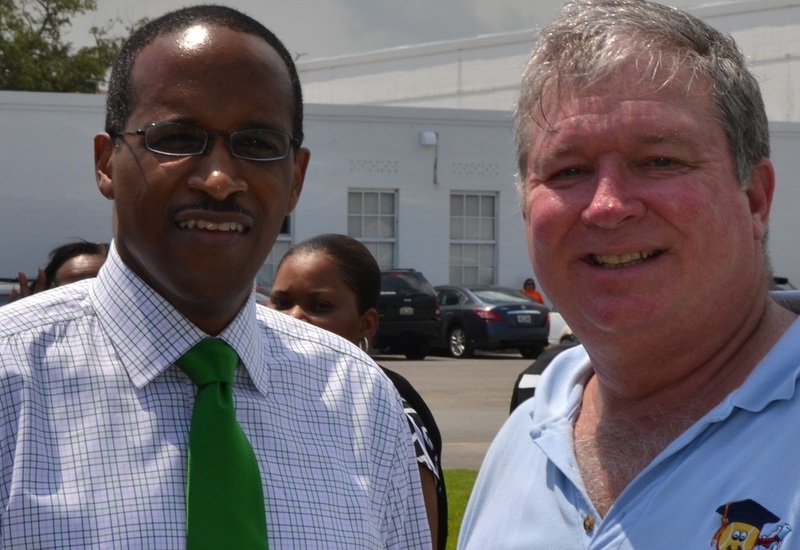 Mr. McNulty has served as President of the Louisiana and Southern Tennis Associations, and is on the national board of the USTA. Mike is committed strengthening and growing tennis at all levels. 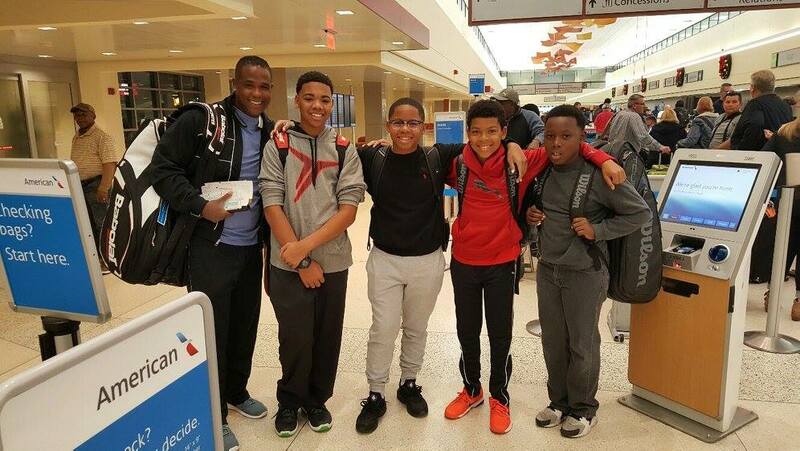 Three of our Tournament Training campers (Michael Griffin, Ethan Morgan, and Jahlil Cambrice) traveled to Atlanta for the Southern Tennis Association NJTL Leadership Camp at Georgia Tech. In additional to tennis and workshops on the college campus, they attended the BB&T Atlanta Open pro tournament, toured CNN and the APEX Museum ( African-American Panoramic Experience). ​​Over 140 campers ages 7-16 learned on the courts and in the classrooms during our 2017 Summer Literacy & Tennis Camps. Campers drafted, edited, and submitted compositions to the USTA NJTL Essay Contest. Starting in 2011, an A's & Aces student-athlete has won a trip to New York or Winston-Salem to attend an ATP professional tennis tournament each year. 2017 was no exception; A's & Aces' William Bostick, the 2017 LA winner, joined 7 others from each of the Southern Tennis Association states for an all-expense paid trip for the winner and a parent to the Winston-Salem Open at Wake Forest University in Winston-Salem, N.C., Aug 19-21. USTA Southern invited top 10&U players to the Southern Teams Challenge held June 24-25 in Chattanooga, TN. Selection was based on results from the three Southern Regional Championships held earlier that month. A's & Aces' Teah Johnson, one of our Tolmas Scholars, earned an invitation based on finishing 5th in the Southern Closed 10s Championship West (LA, ARK, MS). Invitees were divided into 4 teams, each with a coach able to coach during match play. (Among the coaches was former US Open quarter-finalist and mixed doubles champion Melanie Oudin.) Teah won 4 of her 6 matches! Our last USTA sanctioned tournament of the year was held November 18-19 in partnership with the New Orleans Recreation Development Commission. We are grateful to our hosts (the Cooper, Waring and Fitz-Hugh families), and all sponsors, donors, attendees, volunteers and staff who made the "We're Going to State" Gala an amazing night!!! to 100+ wonderful auction items, great food, and company. In addition, some of our top scholar-athletes were honored for excelling both on and off the court. Mike McNulty, a former president of the LTA and STA is now a USTA Board Member and is a Director on the USTA Board (and is the "Ambassador" for "Team McNulty , the A's & Aces Excellence Team), led a live auction with Saints items and tennis trips. On June 29, 2017 A's & Aces hosted 52 young players in the Crescent City Open, the first of our three summer USTA sanctioned tournaments held at Joe Brown Park. A's & Aces student-athletes continued to gain experience daily in their camps, and had additional opportunities to test their growth in tournaments held on July 12 and on July 29. Our summer tournaments provide rallying beginners with a first tournament opportunity, and intermediate-level players can earn ranking points and gain valuable experience. 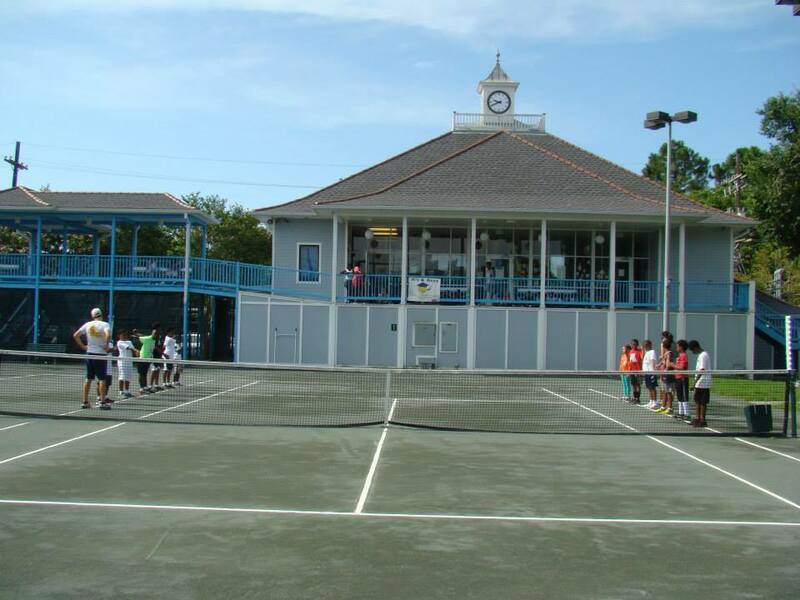 Players meet USTA members from all over the Metro area, as well as some from the Northshore and Mississippi Gulf Coast. The one-day Youth Progression Pathway tournaments feature level 5 (10s Orange and Green Ball) with ranking points, with level 6, non-ranking 8s and 12s divisions. On July 14th, about 80 A's & Aces summer campers together with their coaches and volunteers celebrated the annual 'Return The Serve' event sponsored by JPMorgan Chase & Co. (Chase). 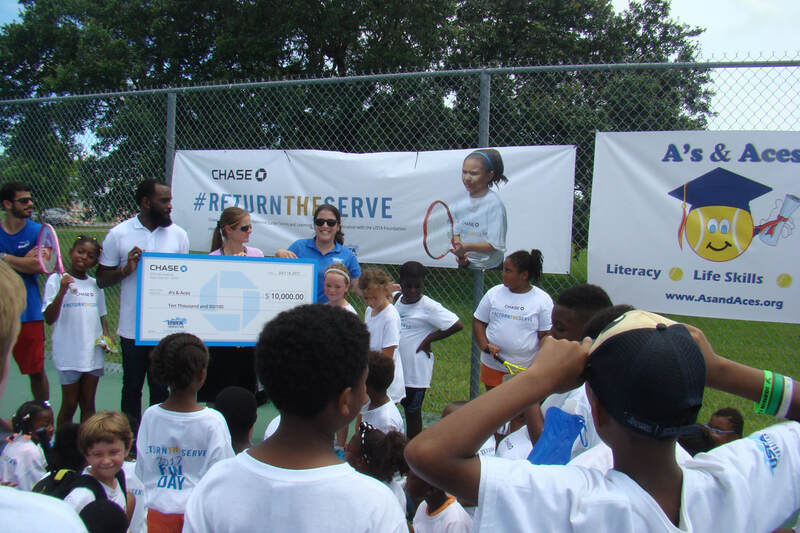 As part of its commitment to the communities in which they serve, Chase provides $100,000 across ten key markets to local youth tennis and education programs. A’s & Aces is a beneficiary of this donation, and as such, received a $10,000 grant for our youth to have opportunities to learn and grow from the sport. Chase promotes the platform on their social media ​#ReturnTheServe. Click here to see more photos, and here for the NOLA.com article and photos. In partnership with the New Orleans Recreation Development Commission (NORDC), A's & Aces provided 7-week Literacy and Tennis camps at Dillard University, Atkinson-Stern Tennis Center, and Joe Brown Park. In addition, we also hosted a Tournament Training Camp at the University of New Orleans throughout June and July. In total, over 140 campers ages 7-16 learned on the courts and in the classrooms. For instance, all campers drafted, edited, refined, and submitted compositions to the USTA NJTL Essay Contest. In each of the last several years, a camper has won a trip to New York or Winston-Salem to attend an ATP professional tennis tournament. THIS YEAR WAS NO EXCEPTION as William Bostick's essay won a trip for him and his mom to the August 2017 Winston-Salem Open men's professional tennis tournament played at Wake Forest University. 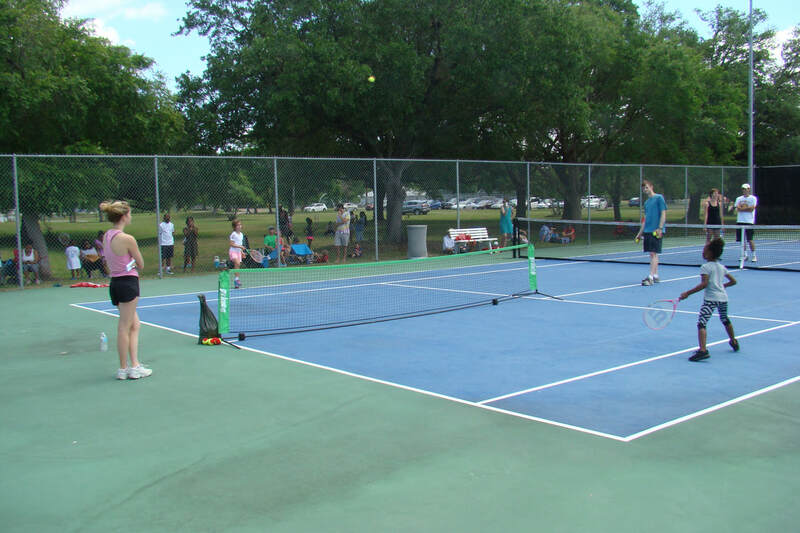 NORDC campers participate in several local field trips, swimming, and special activities, and many compete in the three A's & Aces-hosted USTA sanctioned Youth Progression Pathway tournaments with 8s, 10s, and 12s divisions at Joe Brown Park this summer. Early in June, the Camp at UNO welcomed USTA Player Development Coach, Johnny Parkes. He worked individually with several of our players, and helped coaches and volunteers, including A's & Aces' Head Coach A.J. Varnado, Caitlin Casey, Alan Green, Xavier University Head Coach, and Naz Karagoz (Tulane's #1 Women's player), whose father (the Turkish FED Cup Captain) also visited the camp. A's & Aces hosted its first tournament of 2017 on April 22-23 at the NORDC Joe Brown Park Tennis Center. Over 85 players filled the 8&U-16&U draws, and nearly one-third being regular A's & Aces participants gaining valuable experience, many earning ranking points. All USTA tournaments hosted by A's & Aces are made possible through the long-standing partnership with NORDC. Zurich Insurance honored two community leaders on Sunday for their work to improve the lives of children in New Orleans. Dr. Anna Monhartova, A's & Aces co-founder, and Chuck Roth, Executive Director of Boys Hope Girls Hope New Orleans, were this year's recipients of the Zurich Classic Community Impact Award. The awards were presented on Sunday April 30 at the packed auditorium of the Roosevelt Hotel immediately following a presentation by former NYC Mayor, Michael Bloomberg. Click here to watch Zurich's 3-min video describing A's & Aces and highlighting our scholar-athlete Chris Brown. November 2016 Gala is a "Smashing Success"
Our annual fundraiser ("A Simply Smashing Night") was hosted by Frances & Calvin Fayard at their beautiful St. Charles Ave "Wedding Cake" home on November 17. About 200 attendees bid on a large variety of auction items while enjoying great food, wine, and friends. Honored guests, Mayor Mitch Landrieu and NORDC's CEO Vic Richard, recognized A's & Aces kids who had won special Awards: the 2016 10 & U Boy's and Girls State Claycourt Singles Champions, 2016 Metro Middle School Team Champions, 2016 Arthur Ashe Essay Contest Louisiana Best Essay Winner, and USTA National Student-Athlete Competition winners in both Boys Elementary School and Boys Middle School divisions. A's & Aces was awarded the National Junior Tennis & Learning "Chapter of the Year" for 2016 by the Louisiana Tennis Association at the Annual Meeting in December, for the second year in a row. TrueSport, a grassroots movement affiliated with the U.S. Anti-Doping Agency, partners with A's & Aces to promote the positive experiences that youth sport can bring to help young athletes build the life skills and core values for success on and off the court. In 2016, two multi-medal Olympians visited New Orleans as TrueSport Ambassadors to film a video highlighting the partnership and our student-athletes: after-school program at Dillard University and our Atkinson-Stern summer camp. TrueSport's motto is "We Value Champions. We Champion Values." Click here to view the video. The Arthur Ashe Essay Contest is held annually by the USTA Foundation, on the national and state levels. In 2016, the award for 1st place in Louisiana was earned by our very own Saige LaCour, age 7, of Harvey, LA. Saige was awarded a trip for herself and her mom to attend an award ceremony at the Winston-Salem Open, an ATP pro tournament held at the Wake Forest Tennis Center in North Carolina! The August 20-27 event was the final tournament in the nine-tournament series leading up the US Open. The A's & Aces 10 & Under Excellence Team was one of eleven teams chosen nationwide to compete in the 2016 NJTL Excellence Teams Cup, hosted by the USTA Foundation in College Park, Maryland, on July 21-24. In addition to the competition, our players attended the Citi Open with draws of top ATP and WTA players, participated in a clinic with famed coach Nick Bollettieri, interacted with other young tennis players from around the country, and toured famous monuments of Washington, D.C. Our Excellence Team placed 3rd overall! View more photos of their experience here. ​Many thanks to JP Morgan Chase and the USTA Foundation for helping us provide a day of tennis and fitness for nearly 100 of our summer campers on July 15th. This event was part of a national Return the Serve program that selected 10 NJTL chapter organizations across the country, and made $10K donations to each again this year. View more event photos here. A's & Aces was featured in PreventObesity.net in an article titled, Chopping and Serving Their Way to a Healthier Lifestyle. A's & Aces added cooking skills to the curriculum during our 2015 summer camps with Cooking up Healthy Options and Portions (CHOP), a program sponsored by Ochsner Hospital. 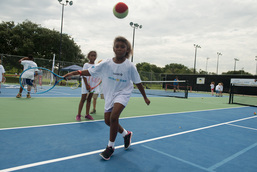 Three simultaneous 7-week, all-day, free breakfast and lunch, Literacy & Tennis Camps were held at Dillard University, Pontchartrain Park/SUNO, and Atkinson Stern Tennis Center. The Inaugural A's & Aces Kids' Cup, held on May 4th at Pontchartrain Park, was a huge success! Over 80 A's & Aces children celebrated their accomplishments. Special thanks to our Super Service Challenge teams! The Xavier Women's Tennis Team helped us win $2,000 and the Positive Reactions team won $5,000! Laureus comprises the Laureus World Sports Academy, the Laureus Sport for Good Foundation and the Laureus World Sports Awards, which collectively harness the power of sport to promote social change (and celebrate sporting excellence). 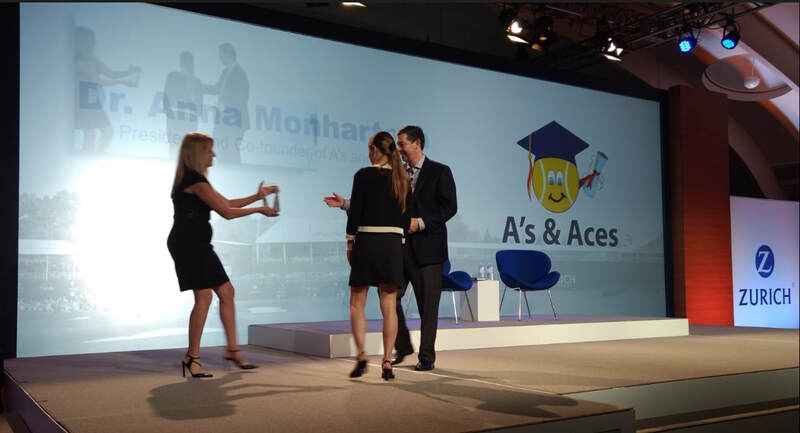 A partnership between Laureus and Coach Across America launched in New Orleans with a special event featuring former #1 World-Ranked Monica Seles. This initiative trains and places coaches in New Orleans after-school sports programs to put into action much needed work to combat youth crime. Recent research has suggested that budget cuts in after-school sports programs have left young Americans three times more at risk of getting involved in unlawful activities. More. In addition to the Literacy & Tennis Camp at Dillard University held this summer in partnership with NORDC. A's & Aces provided a tennis component for our partners at the Edward Hynes Charter "Jump Start Camp" and for the "Friends of Joe Brown Park Camp. Watch an excerpt from the 2013 TV episode of Secret Millionaire that featured Amos Winbush's gift to an A's & Aces participant's family. To watch the full-legnth episode (Season 3, Episode 11, 43 minutes) that includes the A's & Aces program (and a surprise donation) click here. In the November issue of St. Charles Avenue magazine, Catherine Freeman's "Serving Up Success" article, in its regular MAKING A DIFFERENCE section, provides readers with a describes our organization, mission, programs and goals. The article's promotion of the (then) upcoming gala also helped ensure the reality of event's title, "A Simply Smashing Night." A's & Aces is one of the selected organizations receiving support. 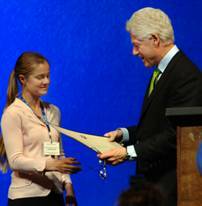 A's & Aces Awarded National Junior Tennis & Learning "Chapter of the Year"
​Tulane Hosts Inaugural Meeting Of The Clinton Global Initiative University -President Bill Clinton announced new projects that students and universities are undertaking to improve the world, including A's & Aces. Katrina Adams, right, vice president of the U.S. Tennis Association presents Anna Monhartova, president of A’s & Aces, with the 2013 NJTL "Chapter of the Year" award.